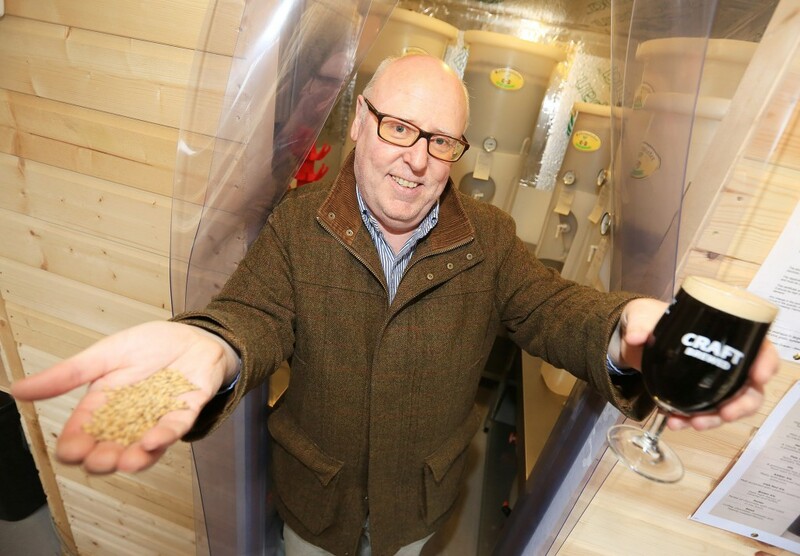 “BEER is like cooking, it’s all about trying different recipes,” says Speckled Hen proprietor Martin Caldwell, who is about to launch his own Black Mountain Brewery ales and lagers. The popular Derriaghy pub, which has collected a host of awards since it was rebranded and bought over by Martin and his family, will soon be offering its patrons a sup of homebrewed Mountain Dew black lager, Divis Diva strawberry beer, Lambeg Willie honey porter or Derriaghy Darling cream ale. With the Black Mountain as the public house backdrop and the canisters, kegs, hops and recipes stored in their own specially built brew hut, Martin and colleague John Dingwall have been busy onsite “coming up with a lot of different combinations”. Martin says there’s a new and growing willingness among punters to “try something “different” and the Speckled Hen, famed for its impressive selection of craft beers and ciders is only too happy to satisfy that demand. “The sales of craft beer are up by 35 per cent. It’s all about choice, flavour and quality. A lot of the core brands of beer, the really big names, taste the same. They are chilled as cold as possible and the colder it is the less flavour you taste. Choice for us is important as we want to give our customers the broadest possible range. Customers will be able to sample the Speckled Hen’s home brews from May as tasting sessions have going very well.